1. Create account with SendGrid.com. Please be noted that there is only 30 days free of charge trial period. Then it will be from 9.95$ per a month. 2. Confirm email and fill your details. 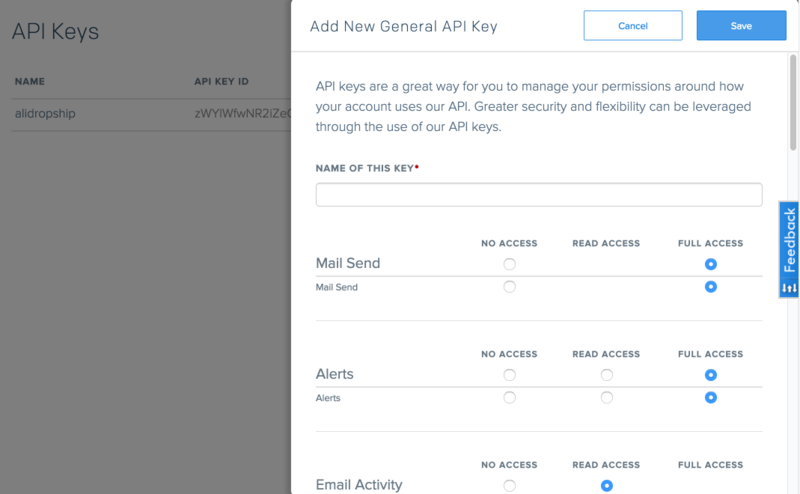 After you enter all necessary personal details, you will get another email with the subject – Your SendGrid account has been provisioned! 3. 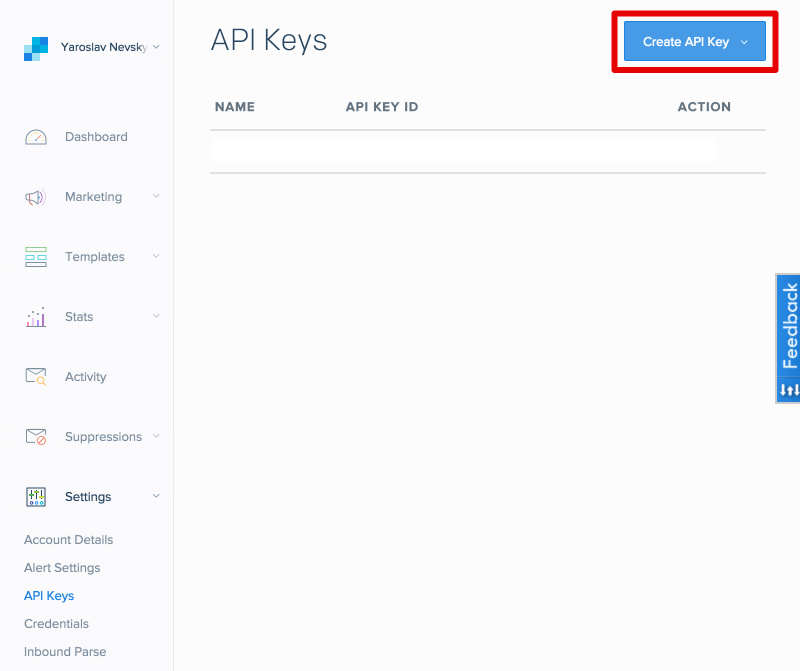 Now you can go to your account settings and click API Keys. 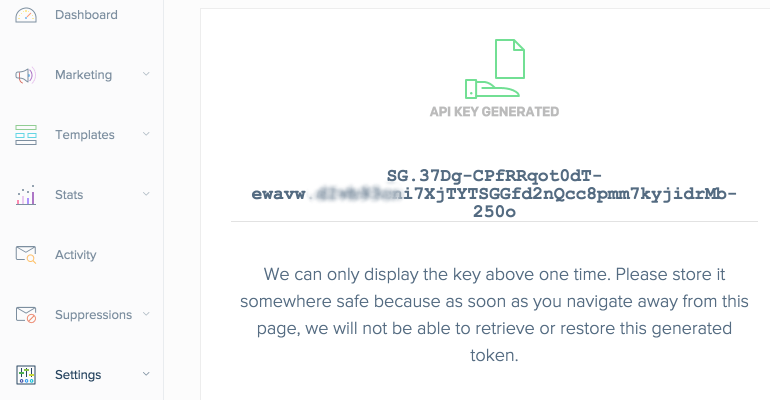 Click Create API Key – General API Key. Give the name to your Key and select all FULL ACCESS or READ ACCESS options. Click Save. 4. Copy your key and paste it to the plugin settings. 5. Click Save Changes and you are done!